Firstly, this shows us some more hope that we now have portrait mode taken care of. I know a lot of us were a bit worried when RIM was showing off the PlayBook and not able to show us the goods in portrait orientation. Also, the addition of being able to add custom app splash screens is very welcome. Rumor has it, Britney Spears was getting some sun while browsing with the BlackBerryOS.com mobile launcher. 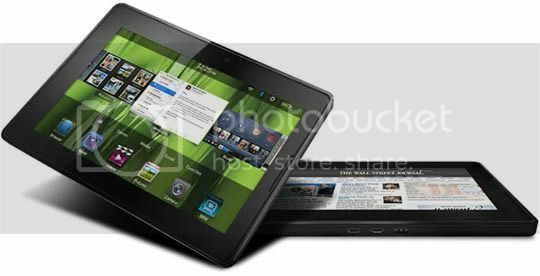 RIM is extending the offer for a free BlackBerry PlayBook tablet! "We have been thrilled with the response to the program within the Adobe community, and we wanted to provide our BlackBerry WebWorks developers an opportunity to showcase the great applications they are able to create as well! Full details on the conditions of the updated offer can be found on our offer page. Looks like around the board Smartphone users spent less on paid apps in 2010. Prices for paid applications on app stores fell by about 16 percent in 2010, and free applications that make money off in-app purchases grew increasingly popular when compared to 2009, according to a new report by Distimo. The prices for BlackBerry applications fell 24 percent. Android applications were actually 1 percent more expensive in 2010 across the entire marketplace. The prices of the top 100 applications across all marketplaces fell by around 28 percent. Entertainment-focused applications were the most popular on the BlackBerry app marketplace. 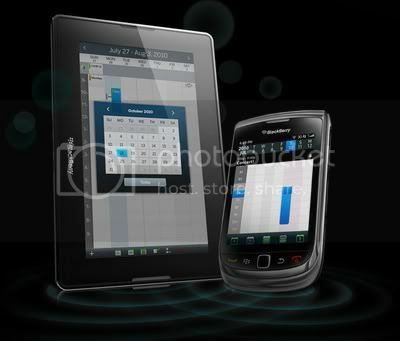 Paid BlackBerry applications grew by 268 percent, while free applications just etched that at 274 percent. 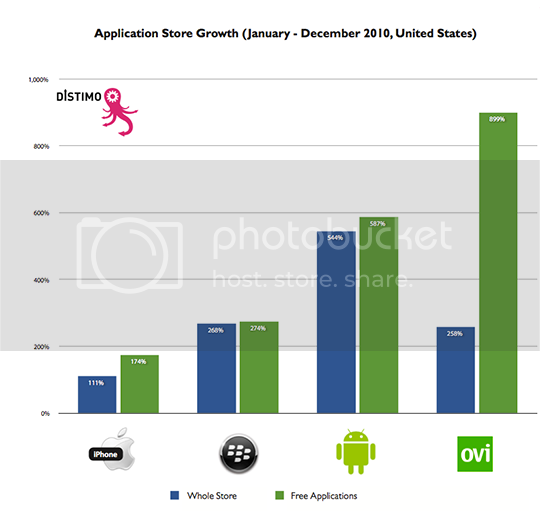 While not as much as percentage growth as the Android Marketplace, they are still good numbers for BlackBerry App World. 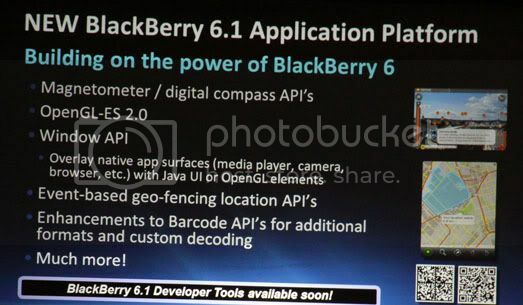 Let's hope that QNX can bring us those media rich apps to beef up the BB App World. The guys from IntoMobile got a demo of the QNX in-car software at CES 2011, showing how the software can enable users to integrate the BlackBerry PlayBook into their cars. You can control media playback from the PlayBook tablet, as well as control vehicle climate control settings and use BlackBerry Traffic services. The LCD based display is pretty awesome and shows how you can have GPS navigation and weather display right next to your speedometer. Just watch the video, I think you'll be impressed.